Africville was a small unincorporated community located on the southern shore of Bedford Basin. 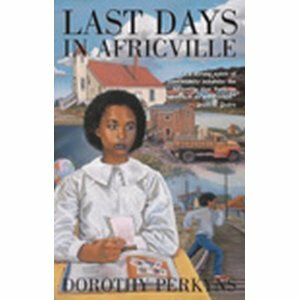 It was a self-contained, tight-knit Black community within the city limits of Halifax, Nova Scotia. At its peak, just before World War I, it numbers were approximately 80 families, or 300 residents. As one author put it and I paraphrase: 1830s – 1970. Africville developed slowly after the War of 1812. Africville saw some growth after the American Civil War and thrived from the 1890s to the 1920s. Africville endured a bad phase during the Depression, but rebounded during the late 1930s and again after World War II. 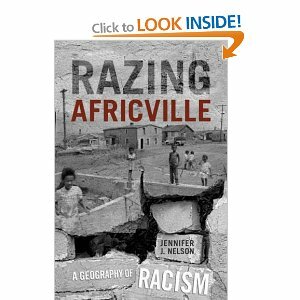 During the 1950s Africville began a slow downturn until the late 1960s. 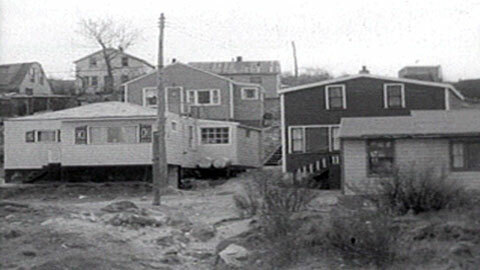 The relocation of the Africville residents occurred between 1964 and 1967. The last house was bulldozed January 2, 1970. I did have the pleasure of meeting some of the people displaced by this forced eviction and the stories they told varied somewhat about the living conditions there in Africville, but there is an underling feeling that nothing was done to bring their community up to code, or standard, because they were a nearly 100% Black community. There are stories of children just making it out on time as bull dozers collapsed the walls; there are stories of dump trucks being used to carry off the furniture of the residents of Africville. Watching some of the video footage of the demolition of Africville I was reminded of the demolition scene from Avatar that made the audience feel so bad; unfortunately no one felt bad enough to come to this community’s aid. Not the federal, provincial, or the civic government thought to save this community. Neither did the other good citizens of Halifax, or Nova Scotia at the time. It is indeed a sad story born out of bad planning, no real consultation and no consideration as to how forced relocation would feel and affect these people. For the most part they were given $5oo. Some people were fortunate and given new homes and property but most were taken to the city of Halifax where prejudice, lack of education help to keep them poor and so the relocation became a swap of one ghetto for another. As I promised here are some video clips taken from that time, some interviews with the actual people who were evicted. There is still an ongoing battle to have the government of Nova Scotia and Halifax to compensate and formally apologize for the injustice and hardships it created for these people with their forced eviction. To this day all of petitions have fallen on deaf ears as did the petitions to get water, electricity, roads and plumbing. On the day Africville was made officially a historic site one resident of the former Africville summed it up best and I quote, “This is a happy event for some, but yet this is a sad event for me … to think I lost my birthplace for a park,” says Dr. Ruth Johnson, who was in her 50s when her home was levelled. There is among the clips an attempt by the then time mayor of Halifax to put right the lies as he called it about the relocation of Africville. One such lie was that they used garbage trucks to move the furniture. You will have to follow the link to find out how it turns out. I have put in the links with video; the rest is up to you. The link below contains interviews from those who were there and lived this nightmare. They show the actualbulldozing of these people’s homes. This entry was posted in abuse, abuse of power, Canada, Government, Moving, Prejudice, Schools and Learning Places, stereotyping, The Church, The work force, Uncategorized and tagged abuse, African-American history, Africville, American Civil War, Bedford Basin, bigotry, Black Nova Scotians, Canada, christianity, City of Halifax, Dorothy Perkins, family support, Government of Canada, heavy handed tactics, judges, justice, law suits, lawyers, Nova Scotia, politics, prodedure, Stephen Harper, World War II. Bookmark the permalink.